Brass double female connector, one end 3/4" connection other end is 1/2" connection. 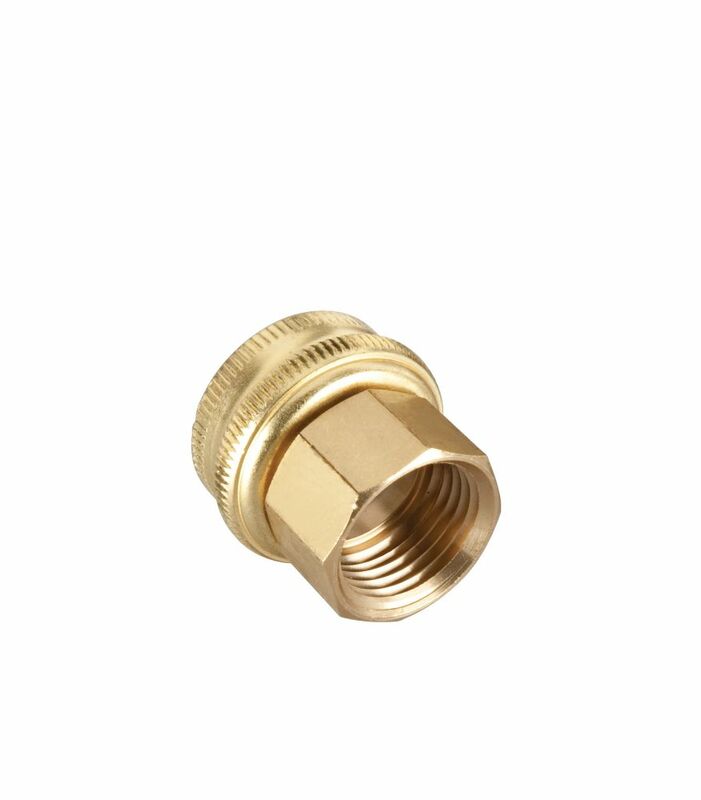 Pipe to hose connection Brass double female 3/4"
CE Techs RCA Connectors are designed for standard RCA audio connections. Snap these keystone inserts into any keystone housing, wall plate or dicor insert to terminate your audio connections. Gardena Repair connector water stop 1/2 In. The repair connector with automatic water stop action for the accessory end of the hose. Cut off damaged brass coupling and slide repair connector onto the hose. Ready to use! 1/2-inch Brass Double Female Connector Brass double female connector, one end 3/4" connection other end is 1/2" connection.